Are Tree Removal Services Something You Need? Many of us do not give much thought on tree removal and landscaping in Broken Arrow, Oklahoma. However, it is an important service. 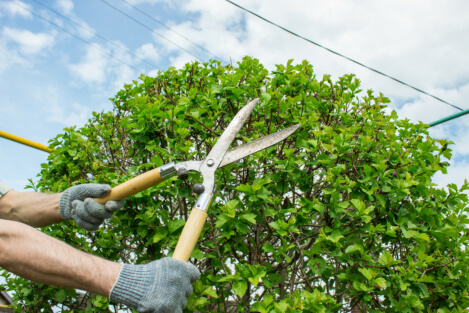 When you have trees, shrubs, and other types of plants on your property, they will need to be properly maintained. This is where our services can help you. We are able to remove old and rotten trees, maintain bushes, and ensure that your property looks beautiful and remains safe. One of the main ways we can assist you is through our tree removal services. Through this service, we are able to remove any tree that can pose a potential risk to you or your property. This can include overgrown trees, rotten trees, or even trees with rotten out branches. By removing these trees, we can keep your property safe and looking good. This service is useful because this is typically a task that requires specialized equipment that the average person would not have in their garage. Another way we can help you is through our tree maintenance service. We are able to trim and prune trees. This is useful because it will allow you to keep trees healthy and looking great. Trees that are not maintained can eventually pose a risk and lead to property damage or even injury. These services can also help dictate the direction a tree grows in, which can help it grow out of the way of your house or other objects. When you have some stumps taking up real estate, it may be time to remove them. However, this is typically easier said than done. Many stumps have large roots growing in all directions making it very difficult to remove. Through our specialized equipment and experience, we can handle this task for you. Those are just a few of the many ways you can benefit from our tree removal services. If you would like to find out more about this service and how it can help you please feel free to get in touch with AJ Tree Service for more information anytime. This entry was posted in Professional Tree Service and tagged Stump Removal, Tree Maintenance, tree service. Bookmark the permalink.